It's a double review of a mascara & cleansing wipes in the same series! Recently I ordered the new mascara from Etude House which is "Lash Perm 3 Step Volumecara" and it came with some mascara cleansing wipes called "Lash Perm Mascara Cleaner Tissues". It's part of Etude's new series, the Lovely Doll Doll collection. It's ONE brush in ONE mascara formula, and I guess turning the dial determines how much mascara you get on the brush. So you align each Step with Stop, and twist out the brush to apply. Step 1 has very little mascara on the brush but it's the step I love most. 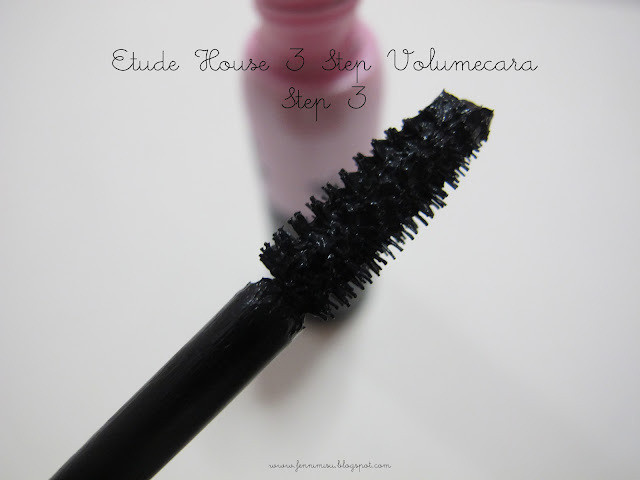 It gives clean and defined volume as promised, and it makes my lashes longer without clumping! LOVE! 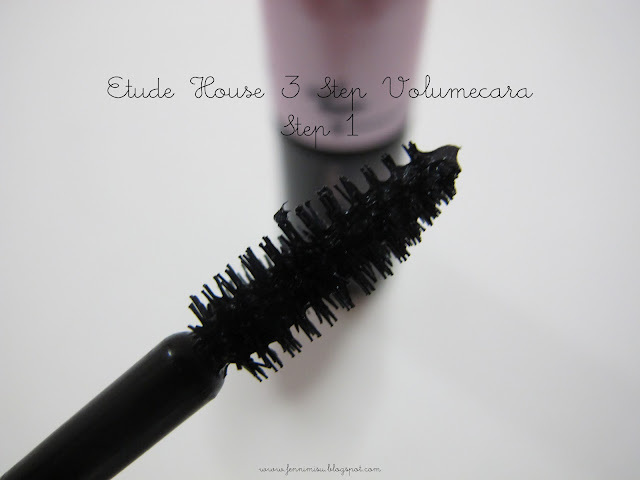 Step 2 has slightly more mascara and it gives a little more length, as well as coating the lashes even more to make each strand thicker and therefore more volume. I prefer my lashes thin & clean ^^ but oh wow it gives a lot of length! 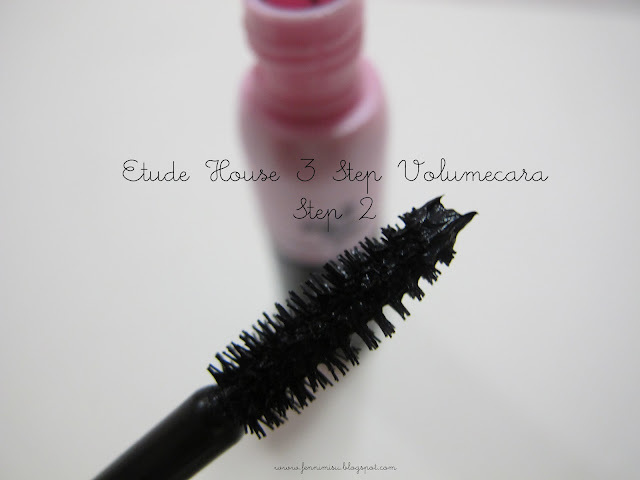 Step 3, as you can see, has a whole lot more mascara on its brush and it gives more volume and length. Can I say that I really love the effect of this mascara? Yay to not having the need to buy one voluminous mascara and one lengthening one!! Check out the difference in distance of the lashes and my eyeliner! Totally lengthened!!! And here's a review for the wipes! The wipes come free with the mascara, and I think they're supposed to remove mascaras in the Lash Perm series since it was bundled together. 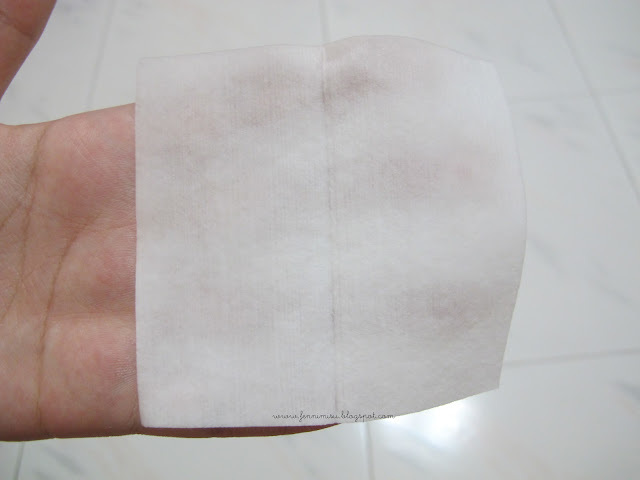 I loved cleansing wipes since I had a really good experience with the Biore one. DAEBAKKK. So anyway, there are 5 individually packed pieces in the box. Each piece is really small, and a square like an Instagram frame :P Also, it is thicker than other wipes. The remover liquid is white. So I tried removing the 3 Step Volumecara with this and guess what.. IT STINGS!!! It stung my eye really badly and no, I'm not letting it get near my eyes again. On the pack, it did forewarn against letting it in your eye. It said: Use tissue to wipe eye and remove makeup. Keep eye closed and avoid contact with eyes. For external use only. But you see, most people do their eyeliner and mascara really near into their eye, and we need to make sure every bit of gunk is out therefore we clean deeper in. I never had a same problem with other eye makeup removers because they obviously know what the market wants. Another thing I dislike about it is that it is really oily. More oily than usual eye makeup removers. This is a really disappointing product. I was like YAY when I saw that it came with wipes, but it disappoints the moment I use it. Luckily it came as a freebie, or I would be more disappointed if I bought it. 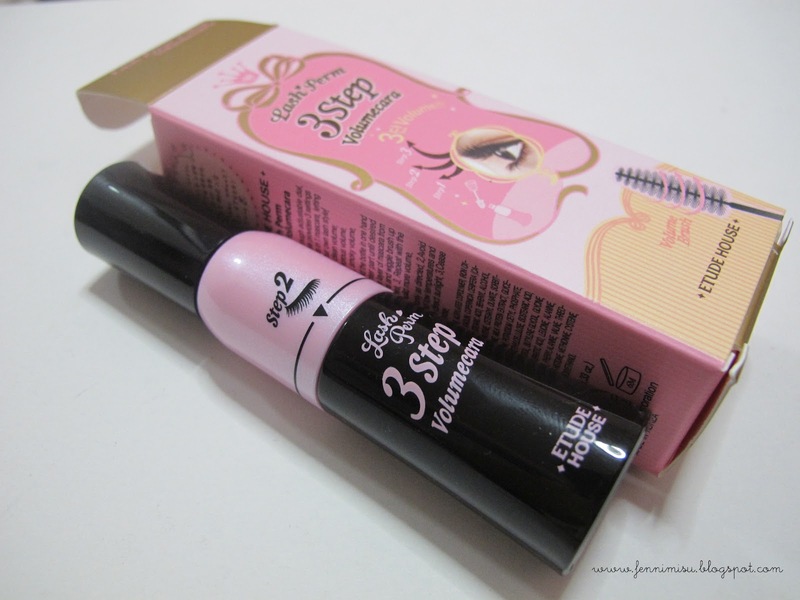 did the 3 steps just come out in one bottle and we used it 3 times? Its only one mascara brush and one mascara formula, just applied 3 times at different dial turnings. where did u purchase it??? This is a very detailed review! Exactly what I was looking for! 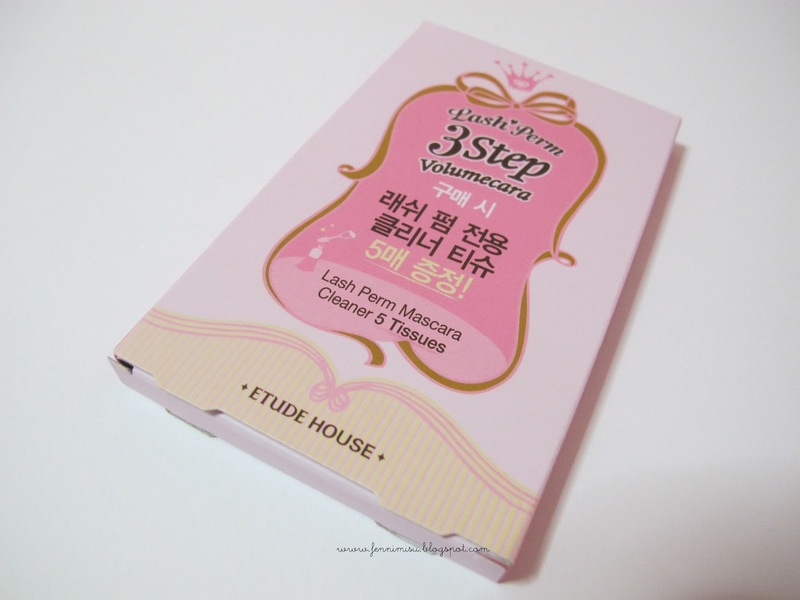 Thanks for sharing with us your review about this Etude House Lash Perm 3 Step Mascara. I think it was a great product! i love your header !! cute , cool , unique , love your lips and make me want your camera so much dman ! you can follback my blog here , im from indonesian .